SAINT PAUL, MN — Every September, a select group of the best young hockey players born in the United States get an opportunity to showcase their skills for more than 130 NHL scouts, as well as NHL coaches, management, and passionate hockey fans. 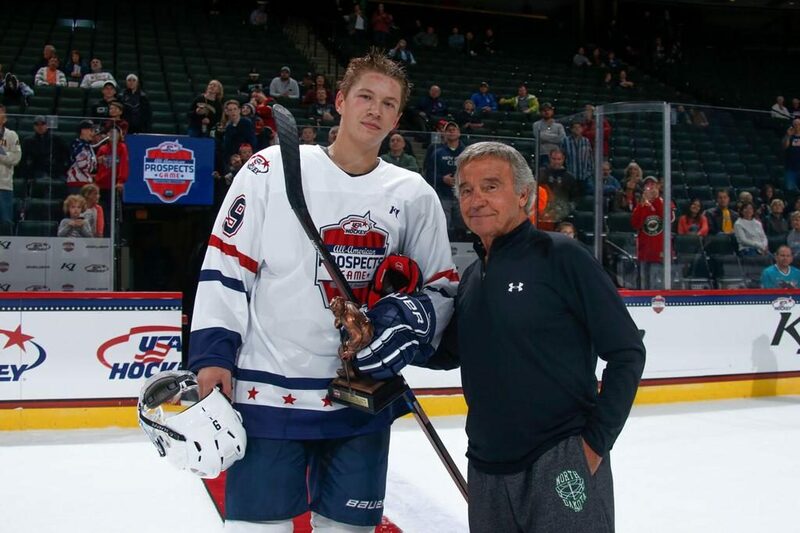 This year, the seventh annual USA Hockey All-American Prospects Game (AAPG) made its debut in the great state of Minnesota, taking to the ice at Xcel Energy Center in Saint Paul. With about six different American hockey leagues represented in this exhibition game, and players hailing from 17 different states, 42 young athletes found themselves under the tutelage of coaches Jordan Leopold and Jamie Langenbrunner. Despite only getting one day of practice under their belts, the players and coaches know what’s at stake once they take the ice: an opportunity to impress the men and women of the NHL who will decide next June who will be drafted into the top hockey league in the world. In it’s seven-year history, 41 alumni of the AAPG have gone on to debut in the NHL. 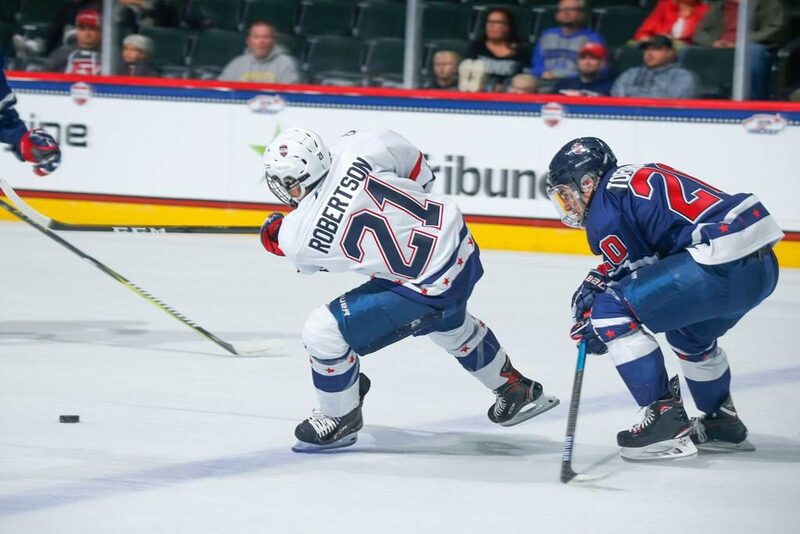 In this year’s game, all eyes were inevitably on Jack Hughes, younger brother of Quinn Hughes who was drafted seventh overall by the Vancouver Canucks in the 2018 NHL Entry Draft. Jack is projected to be the first-overall selection in the 2019 draft and certainly showed off the skills and abilities to back up those claims on Wednesday night. Team Leopold, where Hughes was placed as the first line center, came out strong in the opening period and dominated the ice early on. The goaltenders at both ends of the ice, Cameron Rowe and Spencer Knight, put on a clinic for the first half of the period while stopping everything that came their way. Nick Roberston was one forward who stood out in this period with a few fancy moves and some stellar skating ability to get the puck to the crease, but Rowe shut the door. 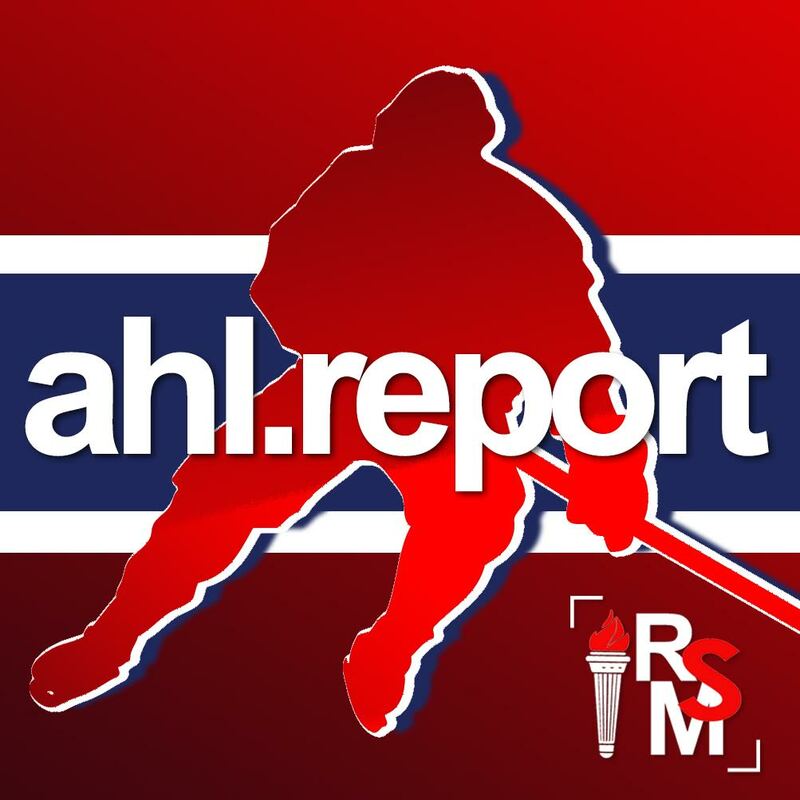 Finally, about 12 minutes into the game, Team Langenbrunner was the one to strike first as Arthur Kaliyev accepted a clean centering pass from a surging Alex Turcotte to put his team up 1-0. There wasn’t much time to celebrate, however, as Cole Caufield took the puck to the opposite end of the ice to even the score just 17 seconds later. In the second period it was Matt Boldy, another player projected to draft high in the first round, who got to work off another Turcotte assist to put Langenbrunner up 2-1 just over a minute into the frame. Both teams spent much of the period in a back-and-forth drill, even after the goaltenders were switched out for Dustin Wolf and Isaiah Saville. Then Case McCarthy made a shot he would instantly regret. Hughes won a faceoff in the offensive zone cleanly, and McCarthy was right there to intercept the puck. Except he then turned toward the net and shot the puck right past his own goaltender. Hughes was credited for the goal and the score was yet again tied. Leopold’s team continued to find the back of the net late in the period as John Beecher fired a one-timer short side from the slot to gives the guys in blue jerseys a 3-2 lead heading into second intermission. As is usually the case in the AAPG, things really heated up in the third period – but not until 13 minutes had ticked by. Caufield connected with a slick pass from Hughes to extend the Leopold lead to 4-2 with his second goal of the night, but Kaliyev answered with a second goal of his own just 35 seconds later. The final one minute and seven seconds of the game was a flurry of activity. First Boldy blasted a shot from the blue line to go bar down and even the score at 4-4, but half a minute later Trevor Zegras regained the lead for Team Langenbrunner on a clean tic-tac-toe play assisted by Boldy. Marshall Warren finished things off with a handy empty-netter to give Langenbrunner’s boys the 6-4 victory. Boldy was awarded the MVP trophy for the game, with two goals and an assist for three points on the night.